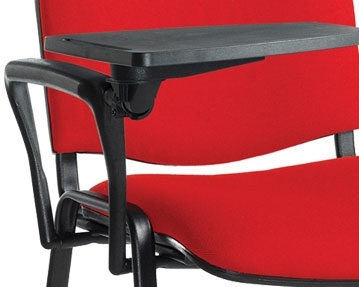 Offering a highly practical solution for environments including training rooms, conference venues and lecture halls, our writing tablet chairs give users a convenient platform to rest notebooks and papers on while they are seated. 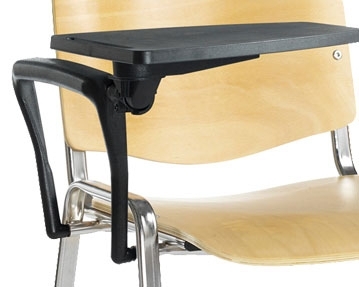 They can be ideal when other writing surfaces, such as tables or desks, would be impractical or take up too much space. 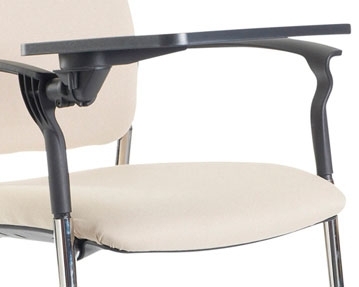 All of our office chairs come in a wide range of styles and designs. For example, you can peruse our fabric models. 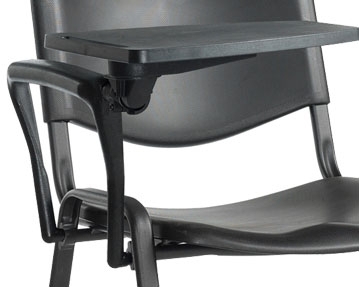 Available in a full selection of colours, including black, blue, green and red, and with your choice of black and chrome frames, they are a comfortable and attractive seating solution. You can also choose from plastic and wooden writing tablets. 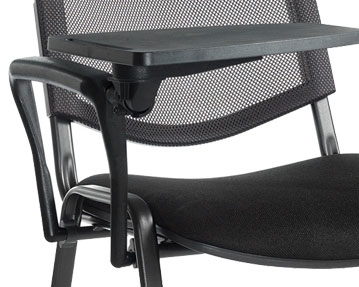 In addition, we offer mesh designs featuring breathable back rests that promote maximum air circulation for added user comfort. Alternatively, perhaps our plastic models would suit your needs better. Take your pick from traditional four-legged designs or contemporary cantilever models. For a reassuringly conventional look, our wooden writing tablet chairs are hard to beat. With a beech effect wooden back and seat, they have a timeless appeal that can work well in virtually any setting. We also provide designer models that can help you to make a style statement in your workspace.